If you like steep, Jackson's town Hill, Snow King, has plenty of that: Its claim to fame is that it boasts the steepest north-facing ski run, Exhibition Run, in the continental U.S., according to the International Ski Federation. 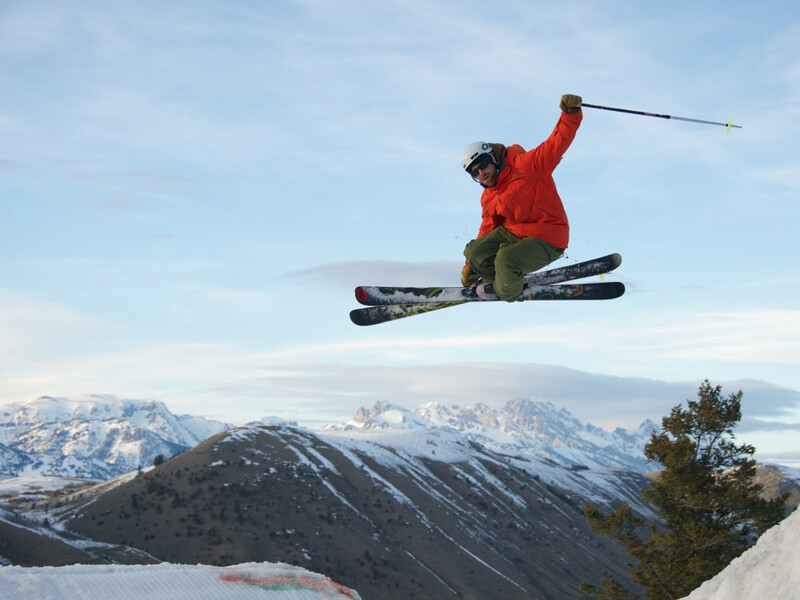 Exhibition Run (which is also one of the scariest ski runs in Jackson Hole) is part of Snow King's 400 skiable acres, 32 runs, and three lifts. Its vertical rise isn't quite as high as skiing from the tram at Jackson Hole Mountain Resort, but the 1,571 feet of vert will keep you coming back for more. But this friendly local mountain isn't just for ski racers anymore. It's also a local's favorite with plenty of beginner and intermediate terrain, not to mention other off-the-slopes activities. From skinning up the mountain for dawn patrol before work or bringing the whole family for a snow tubing ride, Snow King is truly a town hill with something for everyone. An added bonus is the price of tickets: A full-day adult lift ticket is just $47. Beyond that, here's plenty of other inspiration to pay a visit to Snow King in 2016. Last summer, the old two-person Rafferty Lift was removed and replaced with a new quad chairlift. that provides 300 more vertical feet of skiing and 1,000 extra linear feet of terrain. Additionally, this provides access to two more runs on the mountain. Just because the sun's down doesn't mean the skiing has to end. 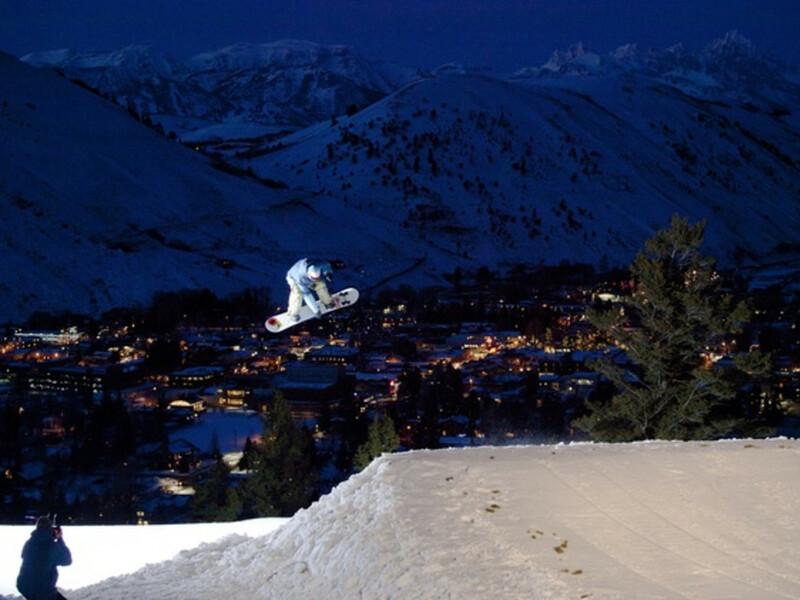 Snow King offers the only lift-serviced night skiing in town. Tuesdays through Saturdays from 4 to 7 pm, lights illuminate the slopes and you can get your skiing or snowboarding action in after work and after dark. As an added bonus, local nonprofit Energy Conservation Works recently worked with the mountain to install new lighting to make it even easier to see at night on the slopes. Snow King worked with the Jackson Hole Ski and Snowboard Club to obtain 21 new snow guns so they can manufacture even more snow, which is especially helpful early in the season. The snowmaking project was a collaborative effort with the club purchasing the snow guns for use on the mountain. What does this mean for you? Plenty more snow to shred on those turns, and a reason to head out to Snow King earlier in the season than previously possible. Looking to add a little freestyle style to your repertoire? Pick from two different terrain parks at the mountain. Terrain park options include Old Man's Flats Park with slope-style intermediate and advanced options such as ramps and jumps and Base Area Rail Park which features plenty of rails, jumps, and slides. 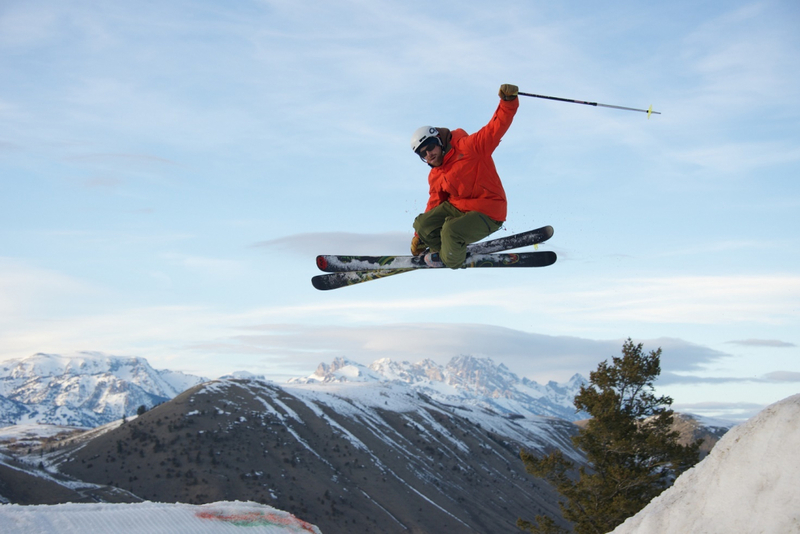 You don't even need to strap skis on your feet to have some high-flying downhill action at Snow King. 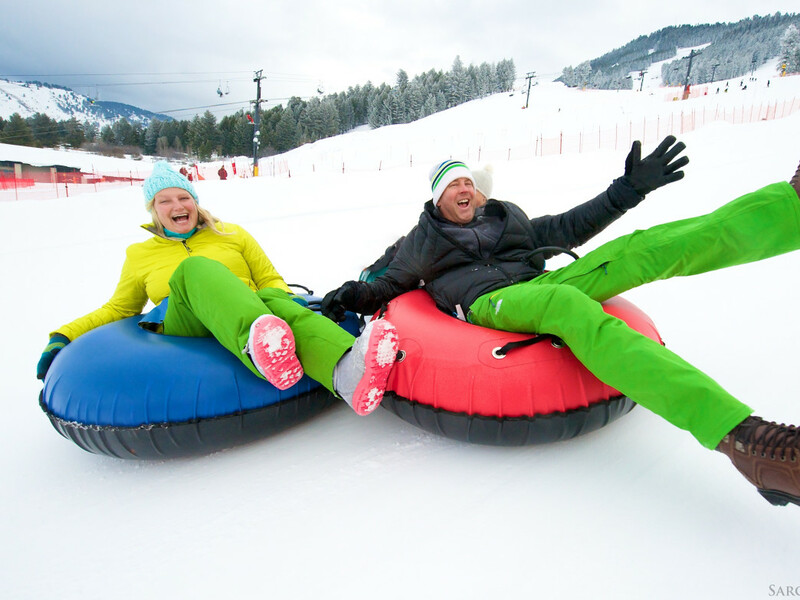 Instead, head to King Tubes to enjoy launching down one of the three groomed lanes on a snow tube. A rope tow brings you up the hill and then you slide right on down. Another bonus? You don't need to haul any gear: Just bundle up and get ready for some fun. A perfect option for families or the non-skiers in the group, the new Cowboy Coaster offers one of the most thrilling rides around. This mountain coaster hauls you partway up the mountain before releasing you for a thrilling ride that reaches up to 25 miles per hour. Fly through turns, some as tall as four stories, twists, loops, and even hairpin turns as the coaster cruises through. It opens for the winter season on December 19. 7. It's the perfect spot to squeeze in some pre-work runs. Locals love to skin up Snow King and ski a lap or two before work. Be sure to check and make sure the mountain is open for uphill travel, and always follow all posted warnings, closures, and rules about uphill travel, including hours. 8. Choose from events galore. Mark your calendar for these fun festivals and events at Snow King this winter, including fun family events, racing competitions, and a women's ski program. December 31: New Year's Eve Torch Light Parade and Fireworks (6 pm): Watch skiers bearing torches make their way down the mountain at this annual holiday tradition that wraps up with fireworks to ring in 2016. January 15: JHSC Marg Cup #1 (Dual GS): Watch these ski racers make their way down the mountain in this first of a series of Marg Cup races. February 3: Ladies Day #1: This five-week women's ski program lets you work on improving your skills in this fun and supportive atmosphere. 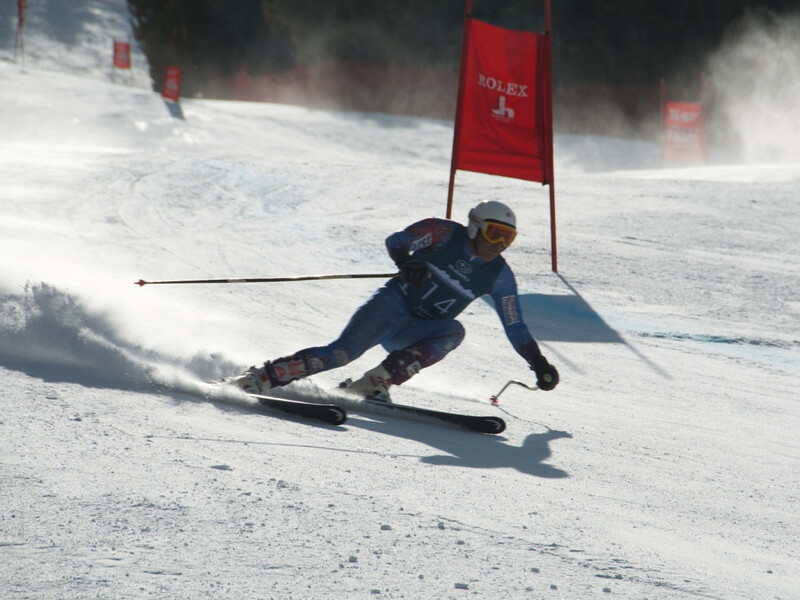 February 13: JHSC Wild West Classic Elite FIS Series (2GS/2SL): Watch some of the best racers around fly down the mountain at this racing event. March 19-20: Town Downhill: Sign up to compete in this annual event where locals race down the mountain in a quest for Town Downhill glory. Or just head to Snow King and watch the racers show what they've got.